Big Blue topped estimates despite recent currency pressures. But its most profitable segment missed sales expectations. With IBM's (IBM - Get Report) shares having underperformed the S&P 500 by about 20% over the past 12 months, a slight Q2 beat and a guidance reiteration is enough for now to move Big Blue's stock higher. However, IBM's revenue growth is still well below that of many peers. And though total sales were a little better than expected last quarter, the company's most profitable segment stumbled a bit. After the bell on Wednesday, IBM reported second-quarter revenue of $20 billion (up 4% annually) and non-GAAP EPS of $3.08, topping consensus analyst estimates of $19.85 billion and $3.04. And just as it did in April, IBM reiterated full-year guidance for EPS of "at least" $13.80 and free cash flow (FCF) of around $12 billion; those numbers respectively compare with 2017 EPS of $13.92 and FCF of $13 billion. Notably, IBM turned in these numbers even though (as if the case for other U.S. multinationals) the dollar's recent rally has begun weighing on its top line. Revenue growth got a 2-percentage-point boost from currency swings in Q2, less than Q1's 5-point boost and below prior expectations for a 4-point benefit. And on the earnings call, CFO Jim Kavanaugh stated forex is expected to be a 1-to-2 point headwind during the second half of 2018. Shares rose 2.9% pre-market on Thursday. They're still down about 3% on the year. 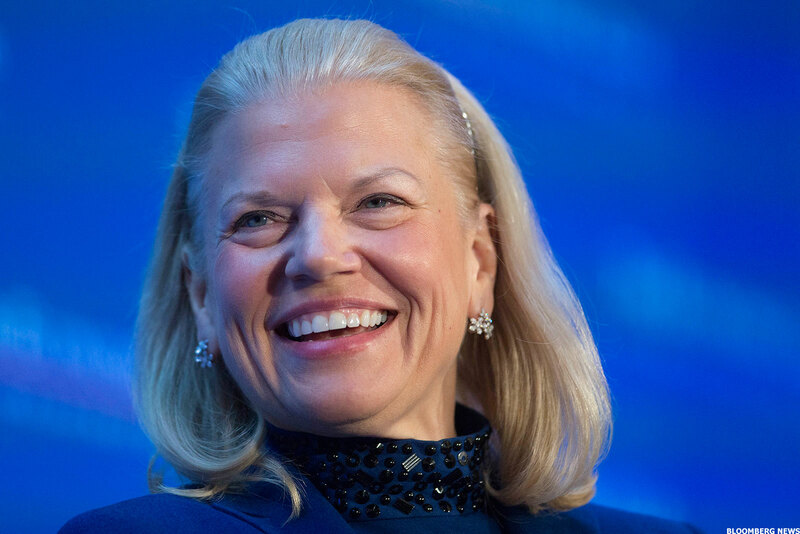 Driving IBM's Q2 beat: The company's Systems segment, which covers sales of hardware and related operating systems, saw revenue rise 25% to $2.18 billion, easily beating a $1.85 billion consensus. A strong upgrade cycle for IBM's z14 mainframe (it began shipping last September) was the biggest driver here, with total IBM Z revenue rising 112% (better than Q1's 54%). Sales of storage hardware and IBM's Power servers respectively grew 5% and 4%. In addition, strong interest in the z14's advanced encryption features helped IBM's security revenue (across reporting segments) rise 81% to $1 billion. As an aside, Broadcom (AVGO - Get Report) , whose recent $18.9 billion deal to buy software firm CA Technologies (CA wasn't well-received by investors, has to be pleased with IBM's mainframe strength, given that a little over half of CA's revenue is mainframe-related. But while IBM's Systems segment outperformed, its Cognitive Solutions segment, which covers much of its software operations and is by far the firm's most profitable segment, posted revenue of $4.58 billion, which was up just fractionally from a year ago and below a $4.76 billion consensus. Moreover, with Cognitive Solutions possessing the highest gross margin of any of IBM's segments, the segment's relative weakness was one of the reasons why IBM's non-GAAP gross margin (GM) fell to 46.5% from 47.1% a year ago, and was below a 47% consensus. A 2% drop in operating expenses helped IBM beat EPS estimates despite its GM decline, as did $1 billion worth of stock buybacks. On the call, Kavanaugh said Cognitive Solutions revenue was pressured by "transitions" in talent, collaboration and commerce software businesses, while insisting IBM is working on modernizing its offerings in those fields. Regardless, Cognitive Solutions's performance continues to trail that of software peers such as Microsoft (MSFT - Get Report) and SAP (SAP - Get Report) . As well as that of the broader enterprise software market, which was forecast in April by research firm Gartner to grow 11.1% this year (current expectations might be a little lower due to the dollar's strengthening). Microsoft is a holding in Jim Cramer's Action Alerts PLUS member club. Want to be alerted before Jim Cramer buys or sells MSFT? Learn more now. As for IBM's services segments, which account for over half of its revenue, their performance was roughly in line with expectations, but nothing to write home about at a time when IT spending is fairly healthy. Global Business Services (GBS) revenue rose 2% to $4.19 billion, and Technology Services & Cloud Platforms (TS & CP) revenue rose 2% to $8.62 billion. GBS got a boost from a 6% increase in consulting revenue, but was held back by slight declines for business process and app outsourcing revenue. TS & CP saw higher integration software and infrastructure services revenue, but lower tech support services revenue. And while services signings rose 6% to $11.5 billion, IBM's total services backlog fell 1% to $116 billion. Overall, IBM's story looks marginally better than it did in April. The company deserves some credit for beating estimates and maintaining guidance despite the dollar's rally, and the current mainframe upgrade cycle certainly looks like a pretty healthy one. In many respects, though, the story still hasn't changed much. Solid revenue growth in fields such as security and cloud services is being largely offset by declines in traditional software and services businesses, and FCF, which peaked at $18.2 billion back in 2012, remains under pressure. IBM's numbers are good enough to boost a stock that has been under pressure for several years, and has been stung this year by Warren Buffett's decision to throw in the towel. But more signs of progress will probably be needed in order for Big Blue to dramatically change Wall Street's perception of it.